Close to half a century later — but, better late than never — when Californians head to the polls on Nov. 8, we can do just what Ed Sanders suggested: We can toss out what former Supreme Court Justice Harry Blackmun called our broken and vile “machinery of death,” relegating it to the dust-heap of our shared, dark, wayward humanity. If we vote for Proposition 62 and against Proposition 66, we can finally be rid of the gruesome gas chamber which Sanders wrote, “drools for its next victim.” It might surprise you to know this man-made room of depravity with its glistening, antiseptic floor, could under current California law, still be used. And what about those grim, ghastly gurneys and the nasty life-sucking needles, no better than chemical nooses? They’ll be gone for good if we just vote for Proposition 62 and against Proposition 66. If we vote for Proposition 62 and against Proposition 66 (which promises to speed up executions, but underneath its sheen, is nothing more than twenty-four carat fool’s gold), California can forever be free of the infamy of having executed an innocent person — that is, if we haven’t done so already. With the too-large number of exonerations of the wrongfully convicted in California and nationally, a number that keeps rising as faithfully as the tide, it may be too late for us to prevent such an abomination – but what does it say about us as human beings if we don’t act now to prevent more!? My fellow citizens, if we just vote for Proposition 62 and against Proposition 66, finally, we can put an end to the extremely costly, time-sapping, never-ending death penalty appeals that have clogged and paralyzed our court system for decades, and that would do so even more under Proposition 66. If we just vote for Proposition 62 and against Proposition 66, we can end the ghoulish grandstanding over the procurement and planning by our elected officials to administer potentially defective, death-inducing drugs to our citizens — drugs that have the potential, as we’ve seen in recently botched executions around the country, to torture — thereby demeaning us all. 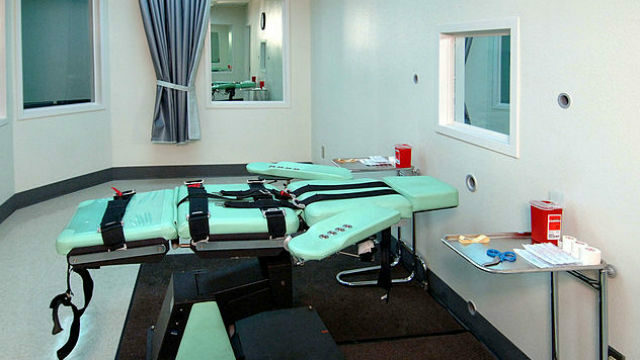 At least 18 death row inmates in California are out of appeals and ripe for execution; 730 more are in the pipeline, ready to follow suit. We can exterminate them all, and going forward we can choose to kill the many hundreds and thousands of Californians that will sadly, but as surely as human nature, take their place. We can do so in the name of so-called “justice,” and on behalf of the great state of California. If we do that — if we Californians vote for Proposition 62 and against Proposition 66 — we can fulfill the hopeful promise of our goodness as a people upon which the Eighth Amendment of our United States Constitution depends. In 1958, the Honorable Earl Warren, a native Californian, our state’s thirtieth governor, and a former chief justice of the U.S. Supreme Court, wrote that the Eighth Amendment “must draw its meaning from the evolving standards of decency that mark the progress of a maturing society.” If we vote for Proposition 62 and against Proposition 66, our standards of decency will finally have evolved such that we can mark – I daresay, we can celebrate – the progress of the maturing society conscientious Californians long have craved. Stephen Cooper is a former Washington, D.C., public defender who worked as an assistant federal public defender in Alabama between 2012 and 2015. He has contributed to numerous magazines and newspapers in the United States and overseas. He writes full-time and lives in Woodland Hills, CA.